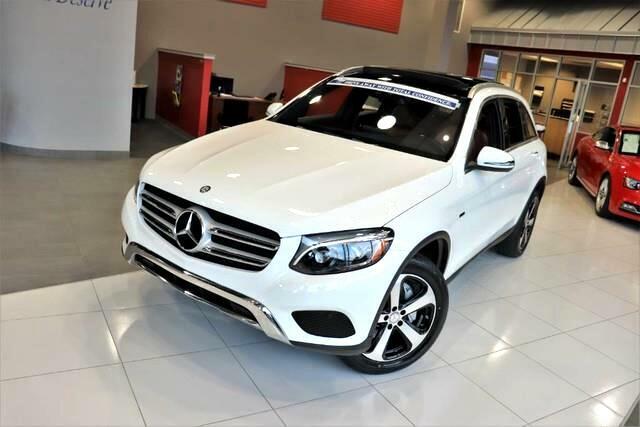 This 2016 Mercedes-Benz GLC GLC 300 is proudly offered by Quality Auto Center This Mercedes-Benz GLC GLC 300 defines excellence in an SUV. It has the convenience of limitless boundaries paired with city sophistication. Today's luxury vehicle is not just about opulence. It's about a perfect balance of performance, comfort and attention to detail. This 2016 Mercedes-Benz GLC is the perfect example of the modern luxury. Comfort. Performance. Safety. Enjoy all three with this well-appointed AWD 2016 Mercedes-Benz. More information about the 2016 Mercedes-Benz GLC: The new GLC-Class Mercedes builds upon the success of the previous GLK, with softer lines and a better overall road presence. It is an excellent around-town option and easy to maneuver in tight spaces, but it is also quite capable when conditions demand extra performance from a GLC equipped with 4MATIC. It goes head to head with models like BMW X3, Audi Q5 and Volvo XC60. The GLC is priced competitively -- beneath the Q5, equally to the X3, and slightly more than the XC60 -- yet it outshines the X3 in its interior amenities, and its typical Mercedes build quality truly sets it apart. Strengths of this model include driving comfort and adaptability to conditions, luxurious interior, Smooth, efficient turbocharged powertrain, and standard and available safety features No Credit / Bad Credit / No Paystubs, No problem !! ! All Approved ! Everyone drives ! CLEAN, GORGEOUS, LOW MILES, SHOWROOM CONDITION. CALL NOW QUALITY CERTIFIED up to 10 YEARS 100,000 MILE WARRANTY , To Certify a vehicle, there will be an additional cost for Certification. CALL NOW For details. STUNNING AGGRESSIVE LOOK ON THIS BEAUTIFUL--Call today to schedule a test drive... Good Credit/Bad Credit/No problem!!!! Get paid cash? No problem!! 100% Credit Approval with interest rates starting at 2.49% for qualified customers, our rates will not be beaten. We price our cars at wholesale price to guarantee the best deals for our customers. Our inventory moves quick, please call to confirm the availability of the vehicle of your interest Springfield location 973-564-0112. This vehicle is located at our SPRINGFIELD location. Come visit our new showroom in Springfield NJ.